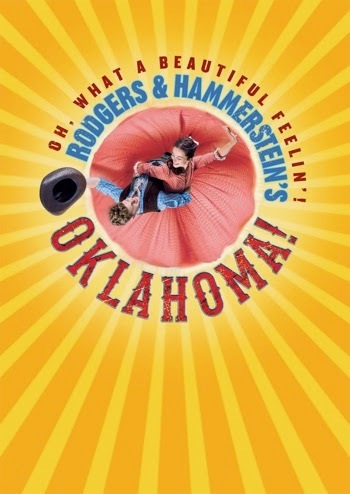 The full cast has been announced for the new production of Rodgers & Hammerstein's Pulitzer Prize-winning musical OKLAHOMA! presented by Music & Lyrics Limited and Royal & Derngate Northampton. From the award-winning producers of the highly successful tours of The King and I and Fiddler on the Roof, this new production of one of the great classic American musicals will feature Lucy May Barker as Ado Annie, James O’Connell as Will Parker, Paul Grunert as Andrew Carnes, Kara Lane as Gertie Cummings, Christopher D Hunt as Cord Elam and Barnaby Thompson as Ike Skidmore. Also in the cast are Simon Anthony, Christina Bennington, Robbie Boyle, Katie Marie-Carter, Lisa Dent, Emilie du Leslay, Ian Gareth-Jones, Hannah Grace, Ross Lee Fowkes, Perry O’Dea, Sasi Strallen and Gabriella Stylianou. They join the previously announced Belinda Lang as Aunt Eller, Gary Wilmot as Ali Hakim, Ashley Day as Curly, Charlotte Wakefield as Laurey and Nic Greenshields as Jud Fry. The production, directed by Rachel Kavanaugh and with new choreography by Drew McOnie, will tour the UK and Ireland next year, opening at the Derngate Theatre Northampton on 19 February 2015. There will be a live orchestra with Musical Supervision by Stephen Ridley. Set and costumes will be designed by Francis O’Connor, with lighting by Tim Mitchell and sound by Ben Harrison.